It's music legend that in 1951, Ike Turner and his band discovered guitar amp distortion - an essential element in rock and roll - by accidentally dropping a speaker from the roof of the band's car...or a story to that effect. Rock music salutes you, Mr. Turner! 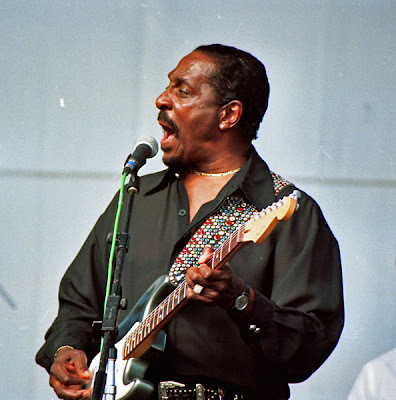 Ike Turner photo credit: Masahiro Sumori.